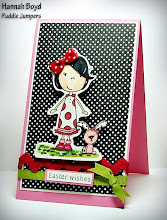 is to create a card/project without using Designer paper...that right card stock only!! Gorgeous card, Miss Hannah!! I love the distressing and the fabulous embellishing!! Great job with this weeks challenge!! I just want to say that you are making very beautiful things! I like them very much! Are you a teenager? It seems like that :) I'm a girl and I'm 16 years old in summer. I wait for your answer in my blog. 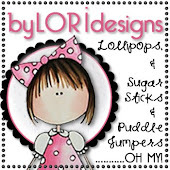 I read something about your mum in your blog, she is making cards too? I would love if my mum could do that too. It is so much funnier to scrap and make cards with someone, but I don't have anyone to do that with. Are you just making cards? 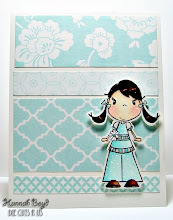 Or are you doing layouts (scrapbooking) too?